Members of a Cardiff City fans' group have given their team's colour change from blue to red the thumbs down. Cardiff City Supporters Trust said it would consult fans and 54.7% did not support the colour change, while 43.8% did. There was a 39% turnout of the trust's 688-strong membership in the vote. The club's Malaysian owners have said the change is an essential part of their financial plans to attract a worldwide following. Nine out of 10 members of the trust said they they had not been consulted enough over the change. The colour red is regarded as lucky in parts of Asia. The club's new owners this month confirmed that they will change the team's shirts from blue to red with a new dragon crest as part of "major and significant" investment. The Malaysian investors Tan Sri Vincent Tan and Dato Chan Tien Ghee, known as TG, have pledged to invest up to £100m in the club. 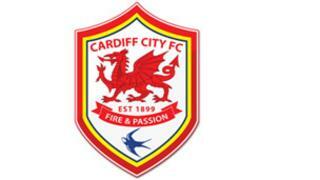 But the rebranding provoked disappointment and anger among some fans of the club, known as the Bluebirds. On the question of whether they felt the club had consulted fans adequately about the changes, 89.4% said no, while 8.7% said yes. Four fans in five said they wanted the trust to push for more information about the proposals. Trust chair Tim Hartley said he understood that many of the fans who backed the changes only did so reluctantly. He said: "The club now needs to reflect very carefully on the views of some of its most loyal supporters. "What is clear is that fans feel the club failed to consult them properly before such a radical change. We believe that as a minimum, all season ticket holders should have been consulted in advance."